The Institute for Building Environment and Energy Conservation – IBEC holds regular symposiums on the energy-related issues, where Mae laboratory is used to have a discernable contribution. 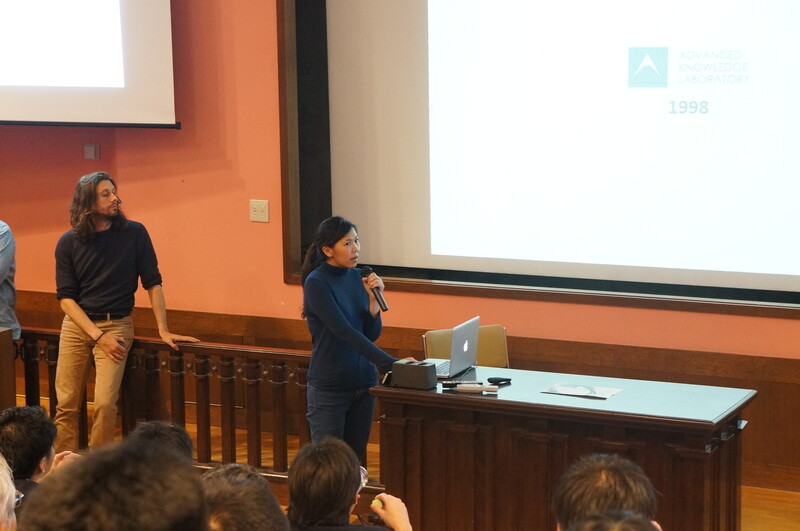 On the 7th Symposium, Three of the Doctoral students, In addition to the keynote that was delivered by Prof Mae, have presented and shared their experiences with three major simulation tools that they used in their research as well as in the Mae lab studio tutoring. 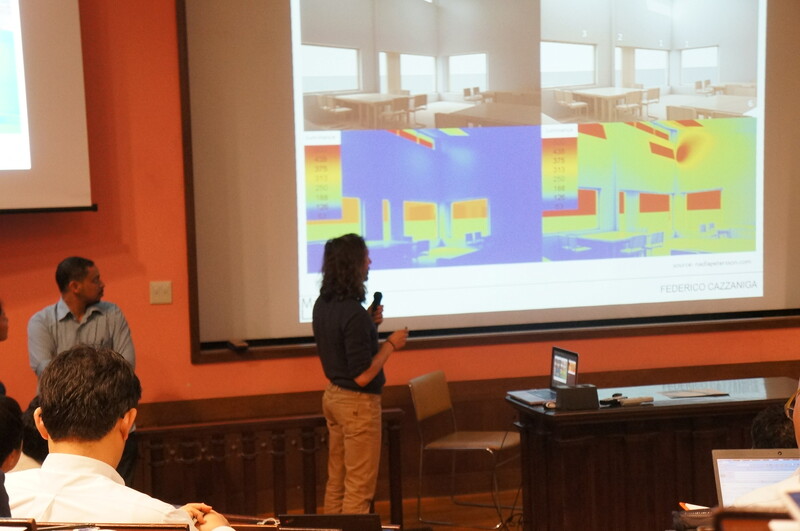 The symposium, in general, was about exchanging expertise on the Energy and CFD tools. Researchers, Architect, and Engineers have presented introduced various tools showing their Pors and Cons and how they like it to be. Prof. Mae opened and managed the event. He briefly highlighted the necessity of using the simulation tools to verify the design energy decisions, and how the simulation results can be verified. Dr. Yasin Idris, a 2nd year Ph.D. student at that time, gave a presentation on the newly developed Grasshopper plugins (LadyBug and Honeybee). The topic was revolving around the extra capabilities of using these tools to elaborate the climate and thermal comfort issues for the students together with their role in manifesting the environmental design. Here are few of these facilities. First;y, the visualization of the sun path together with the annual temperature patterns enabled the students to perceive that in tropical areas (in this case was Sudan), the summer peaks arrive at different months, and that is when the sun is vertical in the Skydome, e.g. April~Ame, but not late June, etc. 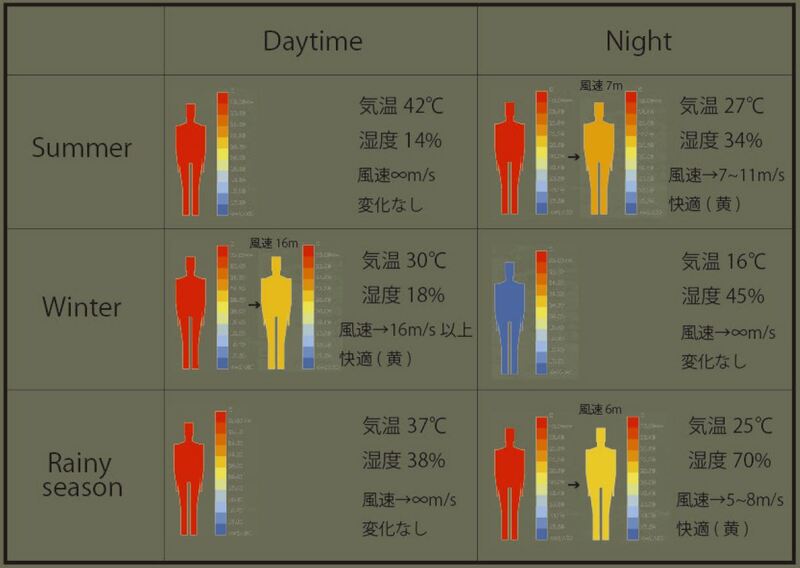 Another key tool in the Ladybug was the thermal comfort manikin. At the beginning, it was somehow difficult for the student to accept the fact that a 15 °C is very cold and could be felt as freezing for people living in dry climates. This “feel like temperature” is particularly true on windy days (figure below). Students could visualize the co-effect of the drought and the wind speed on the thermal comfort and they could somehow feel what people would feel in a windy and dry cold desert night. architectural engineering tool for architects, engineers, and researchers under the concept of “Easy,” “Simple” and High-Accuracy at the same time. 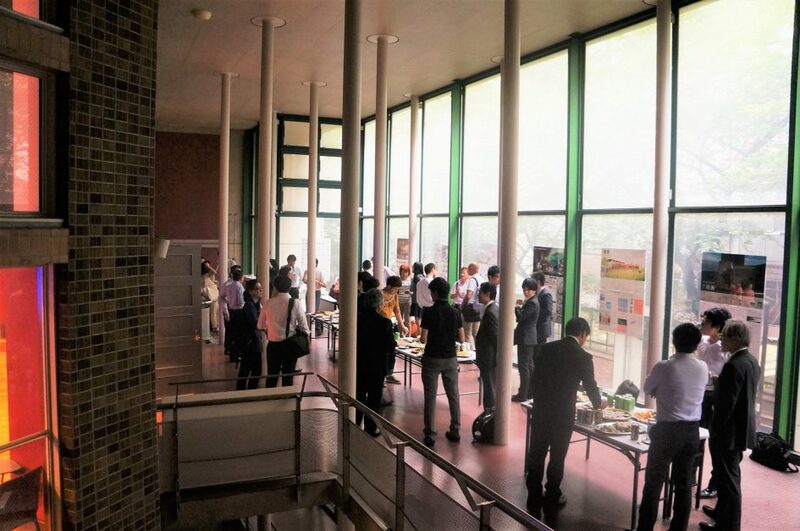 We showed four examples; 1) Office space with the influence of external heat, 2) Heat analysis for air-conditioning outdoor units with the external wind, 3) Airflow and temperature distribution of large arena and 4) Ventilation for electronic board and heat sinking. 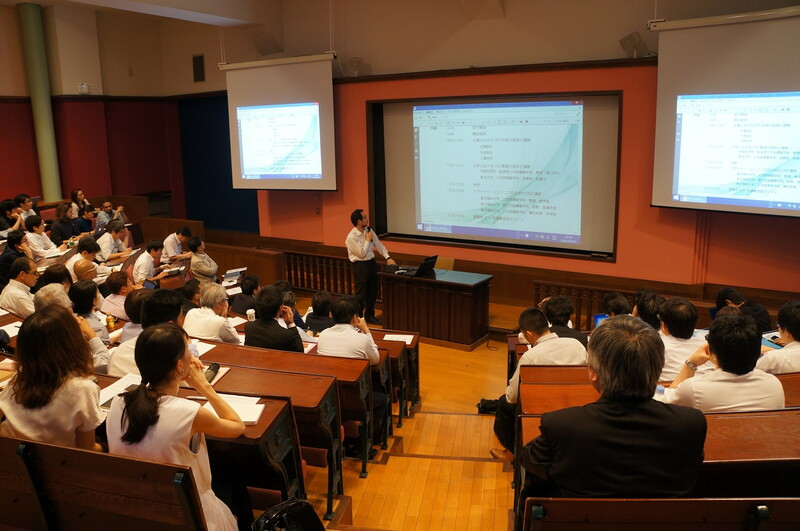 The main CFD example was about our laboratory’s workshop with cooperative at UC Berkeley in 2015, we visited and analysis the Kanagawa Institute of Technology (KAIT) building. We used the program to analyze ‘Air-conditioning and airflow distribution’ for prediction in indoor thermal comfort. Furthermore, we also considered the effects of external wind flow with building surroundings. 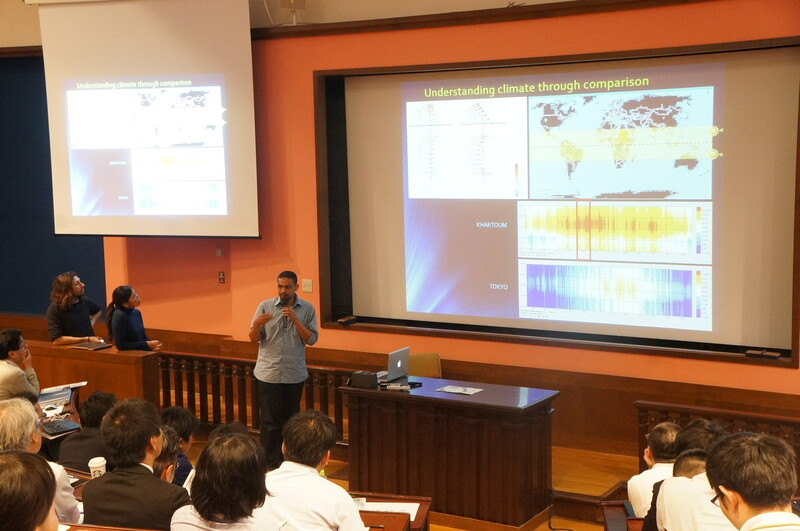 Mr. Federico C. talk was directed to the light simulation. he introduced his initial investigations on some daylight simulation tools, such as Diva and Radiance.